Digital label printing is used in packaging for almost all sectors like cosmetics, food & beverages, pharmaceuticals, FMCG, etc. 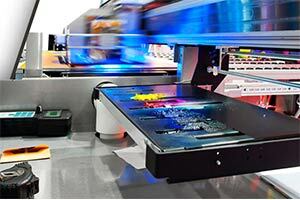 The digital label printing market is expected to have a significant growth rate, categorically in East Africa, as global packaging and labeling industry growing at a rapid CAGR. In Africa, growth of global digital label printing market is driven by the rising concern among the consumers about the legitimacy of products they buy due to the availability of alternative cosmetics, food and beverages, FMCG, and pharmaceutical products in the market. Manufacturers have started opting for new packaging and labeling technologies for their products that not only confirms the authenticity of their products; it also helps in endorsing their products. Major restraining factor for the market of digital label printing market is the high cost of the labeling, which will result in the increase in final packaging of the product. The company providing the digital label printing has significantly high opportunity in Middle East Africa as in this region the packaging industry is experiencing significantly strong growth rate which can lead to the growth of the market. 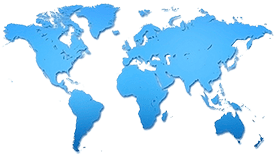 Based on the geographies, global digital label printing market is segmented into five regions — North America, Latin America, Europe, Asia-Pacific, and the Middle East & Africa. Among the regions mentioned above, East Africa accounts for a significant share of global digital label printing market, owing to the rapid rise in labeling industry in the region as compared to other regions. All in all, the outlook for digital label printing market will have a positive growth over the forecast period, owing to the demand for innovation in the labeling industry as an anti-counterfeiting measure. Also, Middle East Africa being a developing economy has a promising opportunity in digital label printing market as the labeling industry in these regions is growing at a significantly high growth rate.